Guy E. Williams joined Samuels Miller after graduation from Law School in 1965. Guy received a Bachelor of Science degree in Finance from the University of Illinois College of Business Administration, Champaign-Urbana, Illinois, in 1962, and a Juris Doctor degree from the University of Illinois College of Law in 1965. He is licensed to practice law in the State of Illinois, U. S. District Court for the Central District of Illinois, the U. S. Tax Court, and the U. S. Supreme Court. Guy practices in the area of estate planning, wills, trusts, probate, estate administration, trust administration, estate planning, real estate and Section 1031 exchanges. Guy is a member of the Illinois State Bar Association, where he previously served on the Trust and Estate Planning Section Council. He co-authored the article “A Review of the Final Regulations Under Circular 230” which was published by the Illinois State Bar Association in its Trusts and Estates section newsletter in June, 2005. Guy is past President of the Central Illinois Estate Planning Council and past President of the Decatur Bar Association. 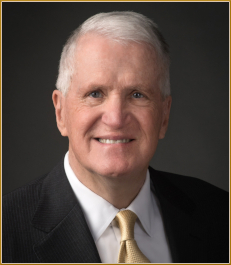 Guy has served his community in various capacities over the 50 years he has practiced law in Decatur and Central Illinois. He is Past President, Officer and Director for many years of Woodford Homes, Inc. which provides affordable housing to developmentally disabled individuals in Macon County, Illinois. Guy was previously a Commissioner of the Decatur Housing Authority for 11 years and served as Chairman of Commissioners for most of that time. Guy recently retired from the Board of Directors of the Community Foundation of Decatur and Macon County. Guy lives in Monticello, Illinois with his wife, Youngsun Williams.